Vinson Synan is the author of one of the main scholarly works on Pentecostalism, The Holiness-Pentecostal Tradition: Charismatic Movements in the Twentieth Century. Fortunately, it’s also one of the best reads. The International Pentecostal Holiness Church has their own beautifully designed (and inclusive) timeline. 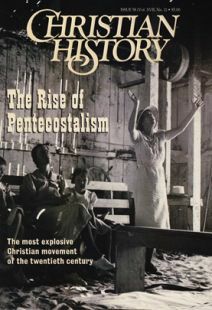 Another Pentecostal timeline is available online. Vinson Synan is dean of Regent University’s divinity school (in Virginia Beach, Va.) and author of The Holiness-Pentecostal Tradition: Charismatic Movements in the Twentieth Century (Eerdmans, 1997).